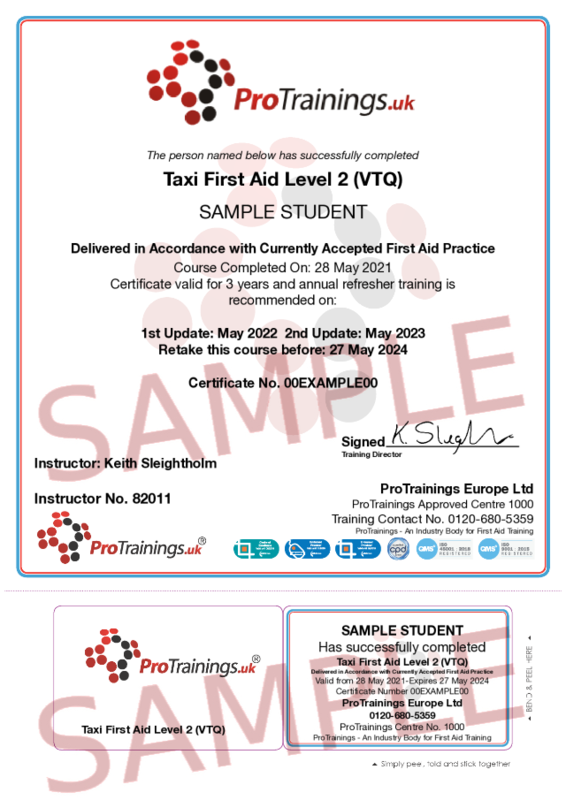 This course is aimed at the taxi and private hire drivers and firms who need first aid training. The course covers adult, infant and child skills and can be also delivered with our evacuation training course which is aimed at safety getting people out of a car or van in an emergency. Both these courses can help you meet requirements for training for private hire and taxi firms by some councils and contracts.